The DELTA Element provides quick ID, screening, sorting, and elemental metals analysis for Scrap, PMI, QA/QC, and Jewelry / Precious Metals applications. The DELTA Element is ideal for simple applications. 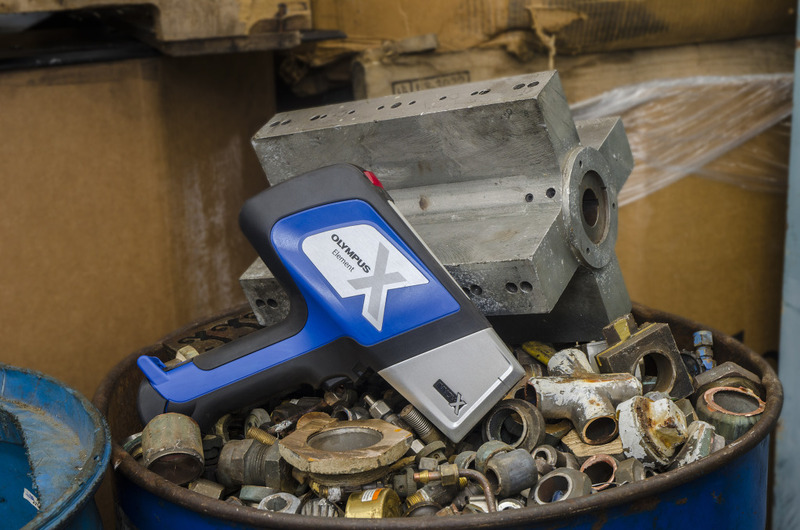 It incorporates everything you need in a handheld XRF analyzer with the DELTA line state-of-the art innovations and rugged design. 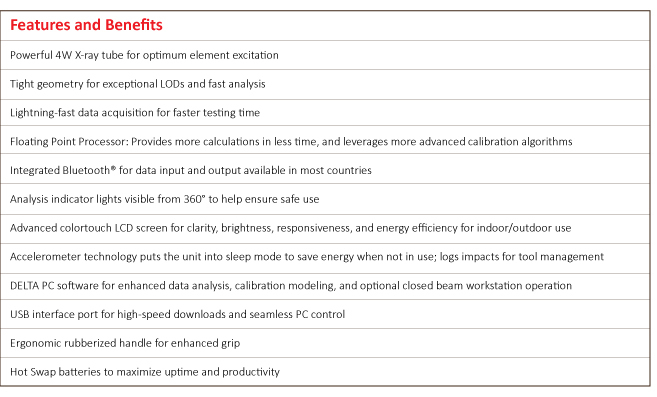 Cost-effective, easy to use, and reliable – it’s the DELTA Element. 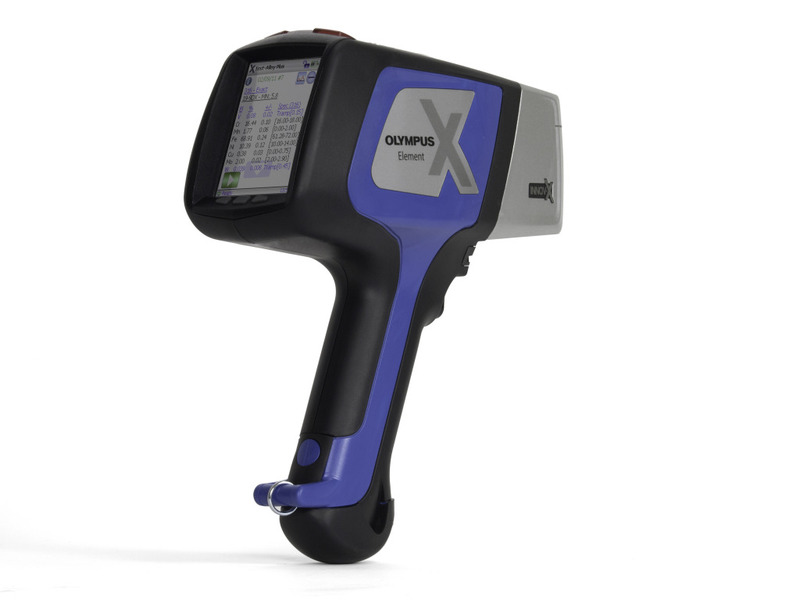 The DELTA Element is the most affordable unit in the Olympus line-up of handheld X-ray fluorescence (XRF) analyzers designed for fast, accurate results. Fast, simple and reliable, the DELTA Element incorporates the features and rugged design of the DELTA family. With fast elemental ID for screening, sorting and metals analysis, the DELTA Element provides fast ROI for Scrap, PMI, QA/QC and Jewelry / Precious Metals applications. 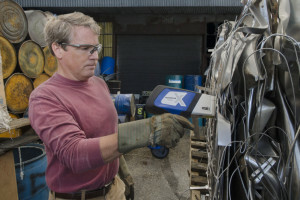 With a powerful X-ray tube and Si-PIN detector, the DELTA Element is ideal for everyday alloy applications. 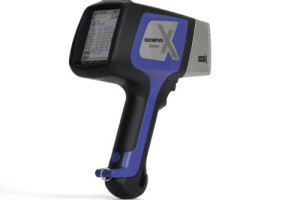 It provides quick ID, screening, sorting and elemental and metal analysis. The DELTA Element’s field-worthy and rugged design features rubber overmolds and an ergonomic grip to protect the analyzer. 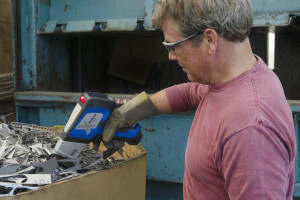 To limit downtime, the hot swap feature allows the batteries to be swapped out while the analyzer is in use. The DELTA Element features integrated wide area heat sinks for high power use in extreme temperatures. Olympus’ exclusive Grade Match Messaging (GMM) feature provides information to simplify verification and streamline operations. Users can assign customized messages to any grade and use real-time or pop-up messages for immediate sorting instructions and improved user efficiency. For more information on The Delta ELEMENT please visit our Knowledge Center.